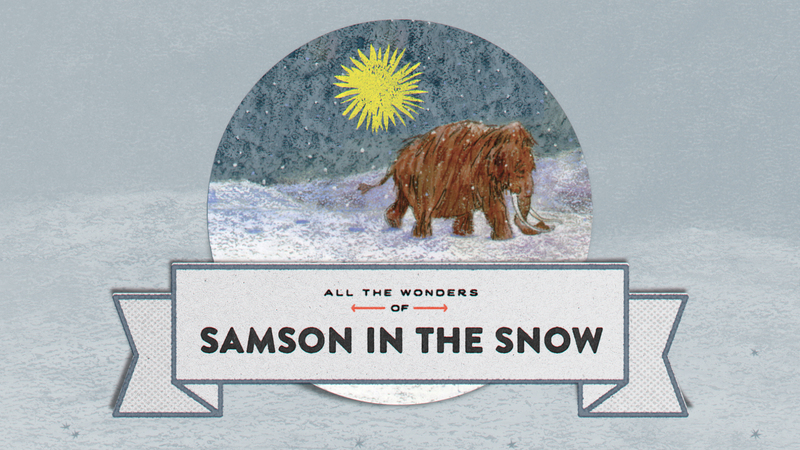 Join All the Wonders this week as we explore SAMSON IN THE SNOW, a picture book from author-illustrator Philip Stead that follows a woolly mammoth named Samson on a quest to find a lost friend. 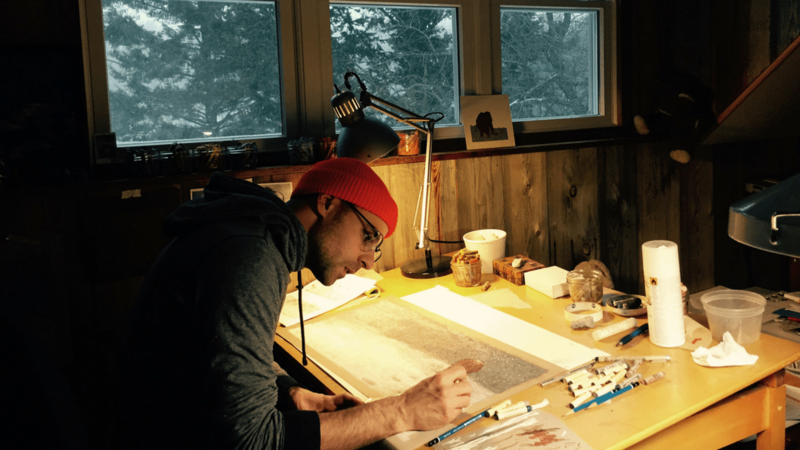 Philip C. Stead, author illustrator of SAMSON IN THE SNOW, stops by the podcast to talk about being a natural worrier, using various materials to express the whole rainbow of what snow can be, and what time means to a creative person. CLICK HERE to listen. Author-illustrator Philip C Stead takes us back in time to learn how he first became interested in drawing and how his childhood work influences him today. CLICK HERE to read Philip’s story. 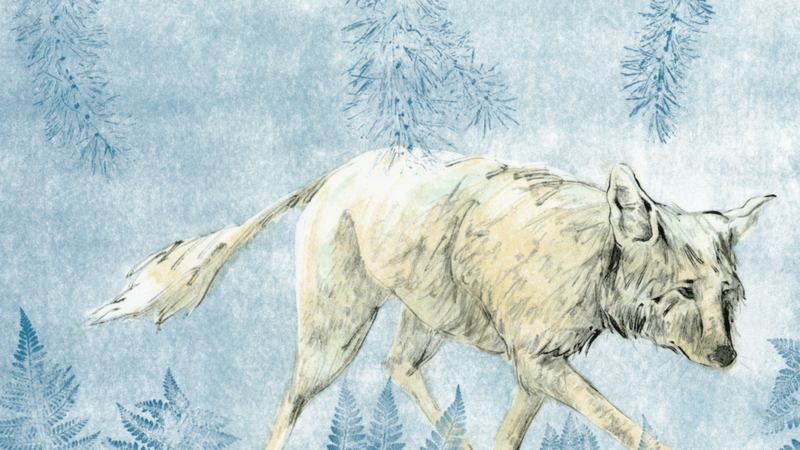 Author-illustrator Philip C Stead keeps readers feeling safe as they journey through his picture book SAMSON IN THE SNOW. CLICK HERE to take a look inside the book. Make a special Discovery Jar craft—perfect for sensory play or a wintry display—using elements from the picture book SAMSON IN THE SNOW. CLICK HERE to get started! There’s so much you can do with SAMSON IN THE SNOW! 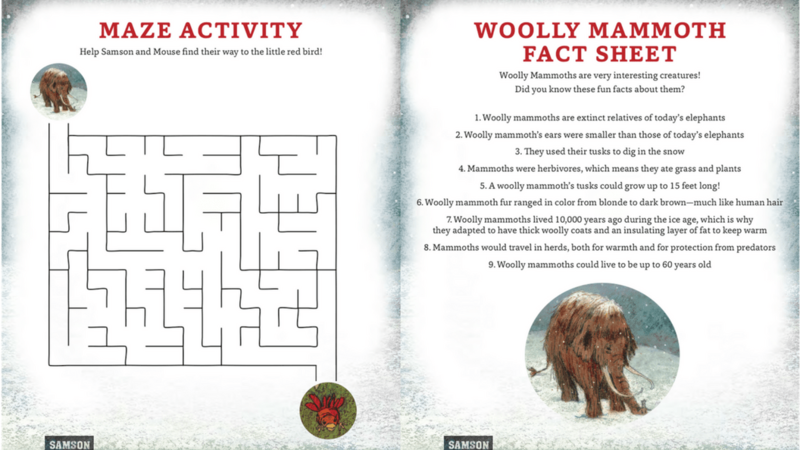 CLICK HERE for an activity kit that will lead you and your readers through Samson’s journey. 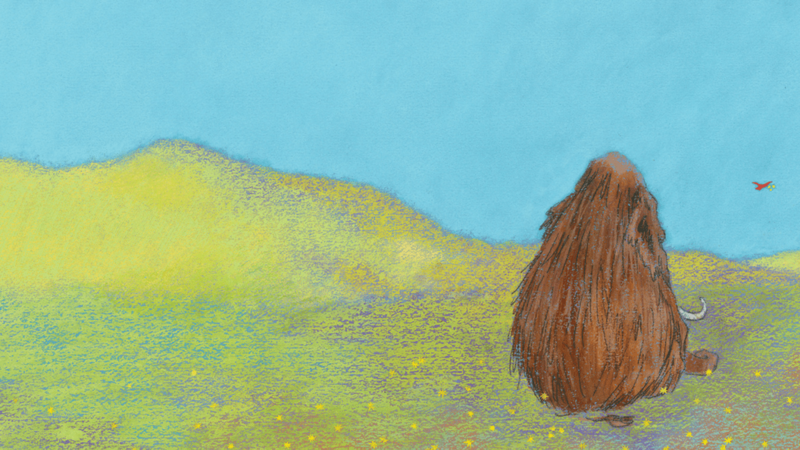 Learn about how author-illustrator Philip C Stead weaves empathy into many of his picture books. 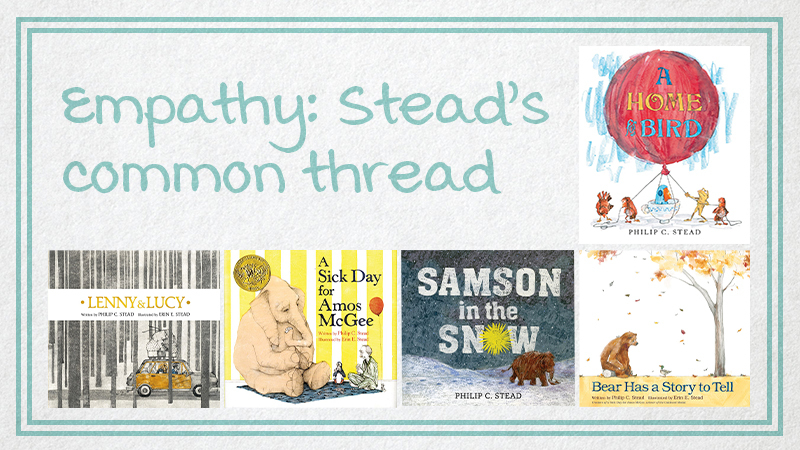 CLICK HERE to see a list of books with the underlying theme of empathy.